Winter Drift Fishing Bull Trout on the Peace River! ... "come on already let's go fishing!" Cold snap is over and just a bad dream now. I’ve been using this warm spell to melt away the bad memories and continue my unheralded run of fishing the Peace River in the winter. I thought I’d change my method of attack and try some drift fishing. I planned to drift some jigs but over the course of the day I tried quite a few things and had some luck with a steelhead staple … I caught a nice size mountain whitefish drifting a bubble gum plastic worm? ... a little pig of a mountain whitefish! Lost a nice fish first thing but followed it up with an absolutely gorgeous Bull trout around 6 lbs.! ... a 6ish lb Bull Trout! 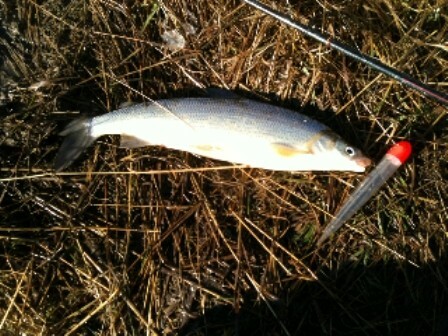 I had some more taps and caught another smaller Whitefish but it didn’t matter on a sunny day riverside with NO wind. 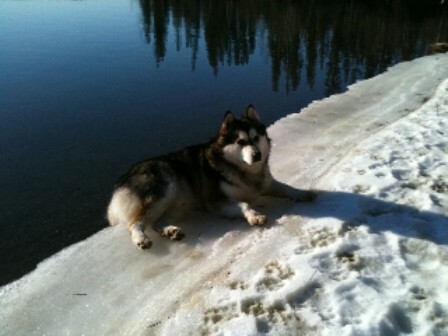 With this weather it’s tempting to think that spring and ice off can’t be far away. I know in my case spring is coming but it can show up with attitude and usually does. My guess is in the North East the lakes will be ice free at least a couple weeks before normal near the start of May. 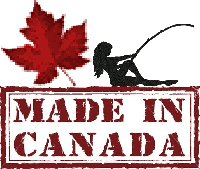 But I’ve been wrong before ……. lots. 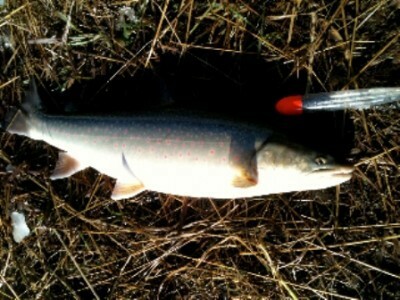 This entry was posted in Fishing Reports and tagged Bull Trout, Drift Fishing, Peace River. Bookmark the permalink. Unreal Steelheading this year and The Best may be yet to come! This is my first year Steelheading in many years. willing to offer tips and suggestions. Here’s a couple of more Teaser’s and notice my Lucky Hat. For me Steelhead are still a Fish of a Thousand Casts! Beauty steely! Nice hat too! Glad to see it’s full of luck! 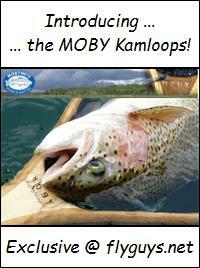 X-Hare curious are you fishing the Skeena system or down in the Lower Mainland. 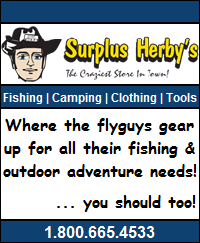 I’ve also been told that the Flyguys hats are irresistible to Trout and Char there by the lucky status. with other River’s now coming on as well. Water level/condition’s are key and can change quickly. And the Hat’s so far “KiLL’er”! Hey Rob I think what’s needed is spot to post your fish with Flyguy hats in the photo,or any impressive photo with the hat in it. Kinda like the pictures from around the world with your garden nome in them.